Box Dimensions (LxWxH) 10.5 x 6.0 x 6.0"
RF 28-70mm f/2L USM Lens is rated 5.0 out of 5 by 4. Rated 5 out of 5 by Joseph from Groundbreaking Ive been a Canon shooter for 30 years. I started with an FTB match-needle and a 50mm 1.2 which instilled my love for a bright view with pleasing bokeh. This lens has both. It definitely feels heavy and appears to dwarf the camera but it is manageable because it is compact in length. It provides everything that you could hope for save for an non-heart-stopping price. But when you pick it up you will know that youre holding some Canon geniuss baby. Its nothing like any other Canon lens that I own--so different its rather hard to capture in words. Read the reviews and decide for yourself but if you have the $ and the inclination, jump right in. You wont be disappointed. Rated 5 out of 5 by Jon from Inspiring and expensive One of the finest lenses that I have ever held in my hand. It is exciting to think that this is the future. I am not a Canon devotee. I shoot Nikon, Olympus, and previously Sony. I purchased the EOS R so that I could try the Canon RF lenses and I think that they are spectacular. Rated 5 out of 5 by Michael from Sharp Slick and smooth operation. Super sharp. Not that heavy. I was expecting worse. Anybody know where the new rf lenses are made? The box is labeled manufactured in Japan. Is there an adapter to connect this lens to an EF Canon body? No. distance between sensor and lens of RF lens is shorter than EF. The only reason you can adapt EF lens to RF body is because the adapter ADDS the space needed to properly focus the image. 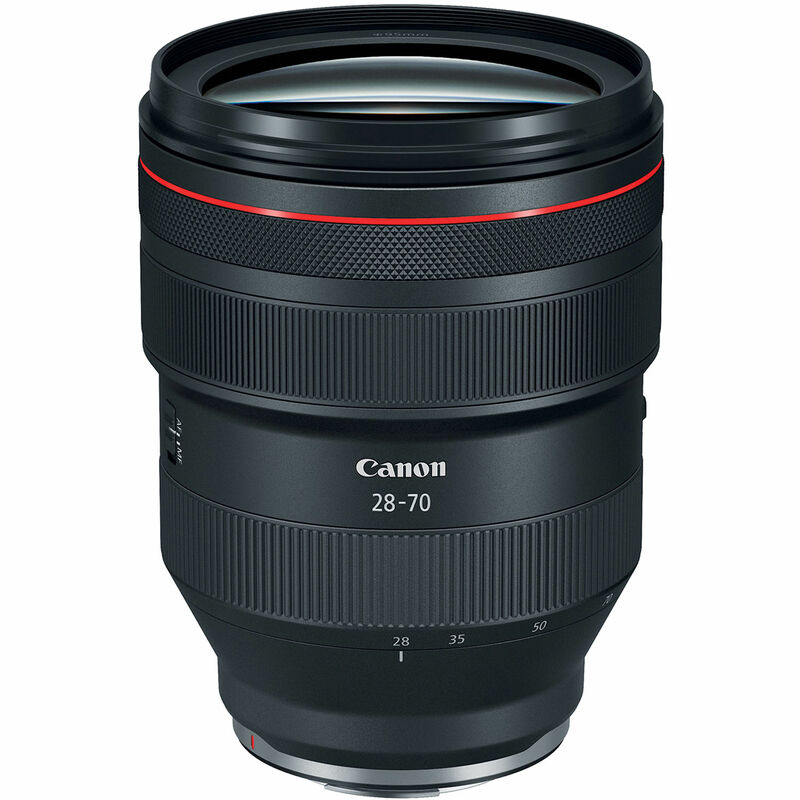 why is there no IS on this crazy expensive lens? and will this hurt ppl shooting video with it? will gimbal help? Same as the std EOS L lens the 24-70 2.8 has no IS Whereas the 24-105 4.0 does. I don&acirc;€™t think I&acirc;€™ve ever felt I needed it on the 24-70. But I take the point on video. My local camera shop didn't have any 95 mm filters in stock, so I went to Best Buy to pick up something while I wait for my filter to come in. My question (concern) for others, is my lens hood doesn't seem to fit properly now that the filter is on. I can see/feel a slight lip larger then the barrel of the lens and I'm sure that this is what's causing the hood from not going on without a fight. Does anyone else have filters on them and/or have this problem? I'm hoping it is isolated to this particular filter. I have the XS-PRO Digital (or as it's marked on the side of the filter) - and I have no issue with lens hood at all. Does it worth its weight?? Are there any pictures available to demonstrate this piece of glass?